Redesigning Quid.com to showcase the product’s robust interface and generate qualified leads. How do you articulate a complex product with a simple website? Personalized Product Demonstrations: Upon visiting the site, users are prompted to select a sector. The site then tailors all content from product demonstrations to testimonials appropriately. 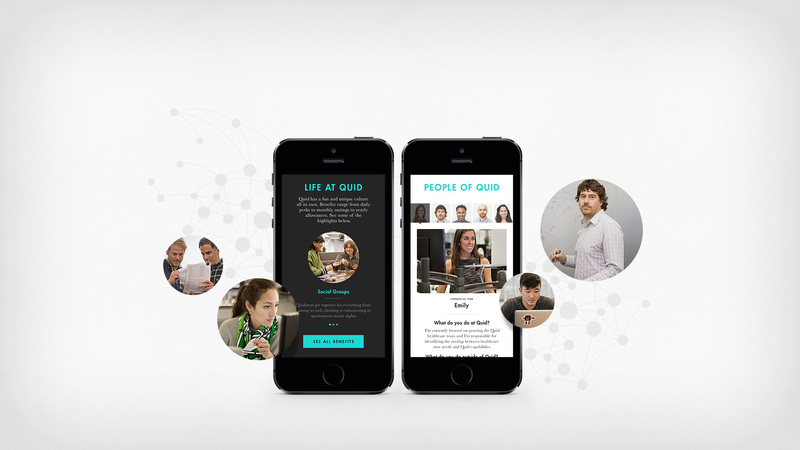 People of Quid: A “day in the life” section gives prospective employees a feel for the vibrant Quid culture. Fully Editable Custom CMS: Pages are scalable and easy to update, but don’t feel generic or templated. 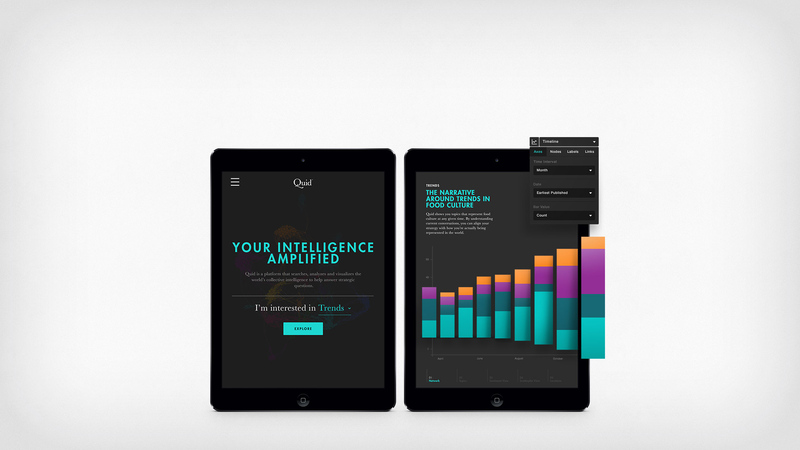 Quid is an online B2B SaaS platform that helps users search, analyze and visualize insights. The platform helps answer strategic questions like, What is the future of food? and What speculation is happening around the Apple Car? 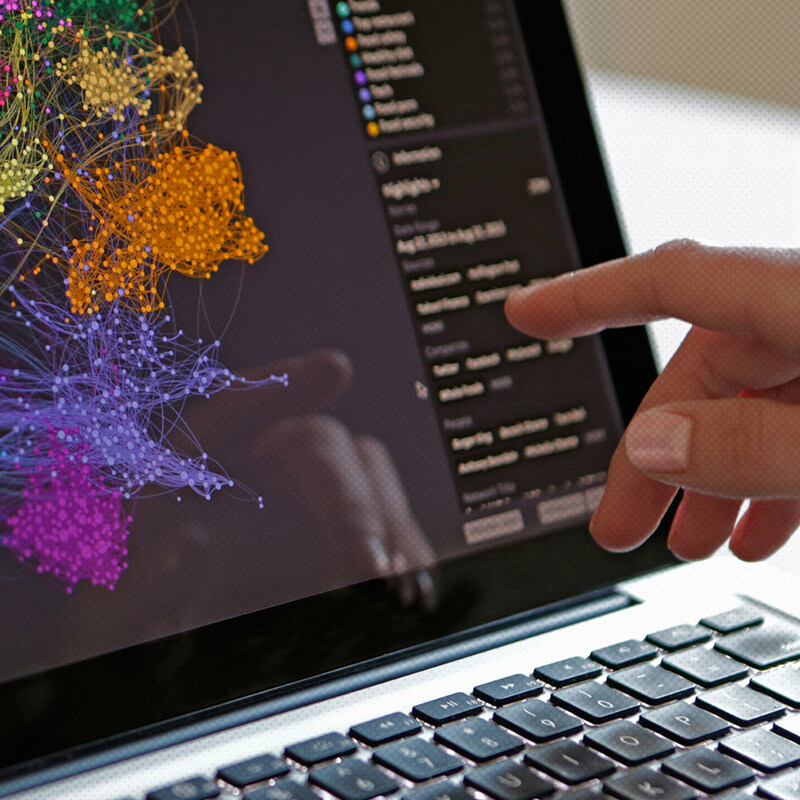 by organizing information into visual, interactive results. Think of it like a search engine for big ideas. The best way to understand Quid is to see the product in action. 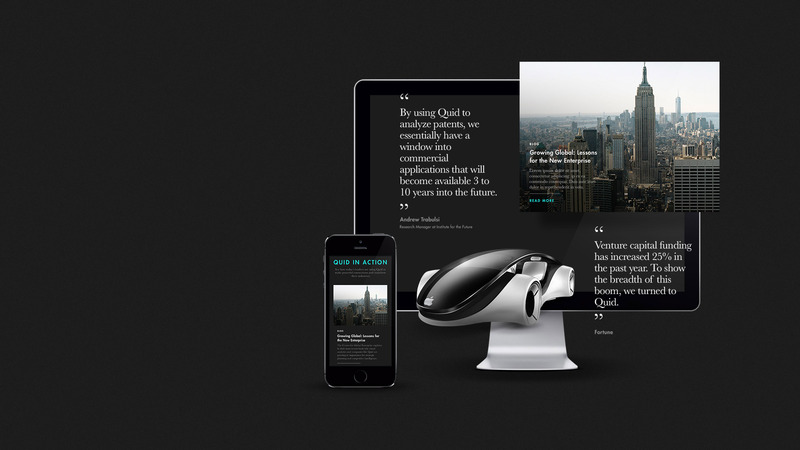 Firstborn was tasked with relaunching the Quid brand through a new website that more clearly articulates what the product does and why people should use it. The challenge was to capture the complex value proposition in a digital experience that would drive lead generation and satisfy each audience. The result is a new Quid.com that demos the innovative product while showcasing the company’s vision and culture. A thoughtful content strategy coupled with a bespoke technology solution was essential to not just meet business goals, but also create something Quid could maintain and grow into the future. The site features a custom CMS that can be easily updated, allowing Quid to refresh content without feeling constrained to a single page template. Meanwhile, the content experience, including product demos, is personalized based on the audience. Within the first month of launch, average session duration increased 56% and bounce rate decreased 23%, so users were exploring more content and successfully finding the information they need. The site’s conversion rate also doubled and the site is now used as a primary sales tool. The result is a new Quid.com that demos the innovative product while showcasing the company’s vision and culture. A thoughtful content strategy coupled with a bespoke technology solution was essential to not just meet business goals, but also create something Quid could maintain and grow into the future. The site features a custom CMS that can be easily updated, allowing Quid to refresh content without feeling constrained to a single page template. Meanwhile, the content experience, including product demos, is personalized based on the audience.